John Kelly, whose 17-year-old brother, Michael, was shot dead on Bloody Sunday, pictured at the Bloody Sunday Memorial in the Bogside. A man whose 17-years-old brother was killed on Bloody Sunday has called for the Northern Ireland’s Secretary of State to resign. Ms Bradley later moved to clarify her statement and yesterday issued an apology. Mr Kelly said the Secretary of State’s comments were ‘insulting’ to the memory of his teenage brother, adding that an ‘apology was not enough, she has to go’. Thirteen people died on January 30, 1972 when paratroopers opened fired on civil rights marchers. A 14th person died later. 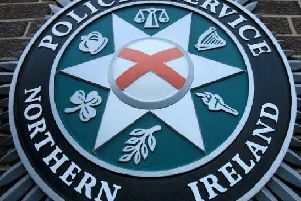 A decision from the Public Prosecution Service about potential prosecutions of soldiers is to be made public next week. “Karen Bradley is a politician and she was well briefed about the questions she was going to face. She knew exactly what she was going to say.